Expansive views from many properties on 1 acre. Homes range from 3000-6000+ living sq ft. Acres of natural preserves and scenic golf views abound. There are parks connected by walking paths, with wood benches scattered thruout to enjoy the breathtaking views, flowing canals and lakes. 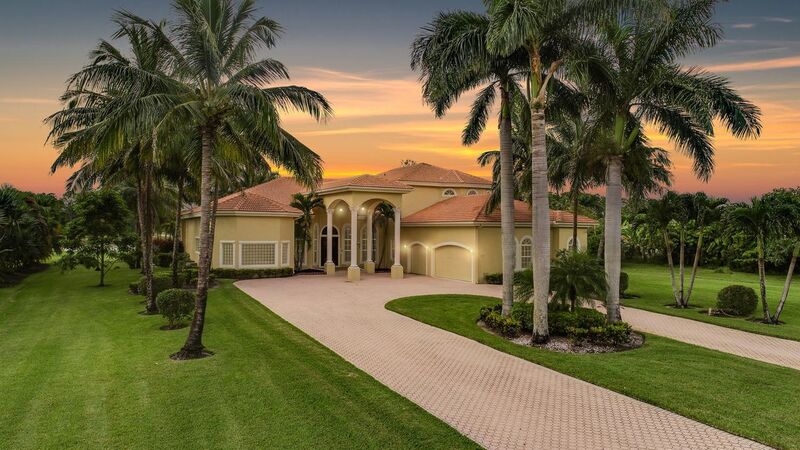 There are 253 Mediterranean style single famliy homes on a total of 630 acres. Here is a country club environment without mandatory dues and fees. Most homes have 4 or 5 bedrooms. PGA Resort & Club offers a one-year trial membership to play golf there and enjoy the social amenities for $5000, no initiation fees. Then homeowners can join at regular fees. Built by GL Homes, the features, appliances, finishes all are superb. Beautiful public course across the street as a golf alternative. Nearby is shopping, entertainment, dining. Turnpike gives easy access to highway to airport.